I would like to express my thanks for your efficient service in sending me the gas struts for my Megane’s tailgate. The instructions on fitting them were very clear and my husband and I fitted them without any problems. I now no longer have to hold up the tailgate with my head!!! Many thanks SGS again. The Renault Scenic boot struts arrived today as promised. They were very straight-forward to fit and they worked perfectly. Your price was extremely keen. An excellent transaction! Just received the Scenic gas struts back, thanks a million, your customer service has been 'above and beyond'. Thank you for the delivery of the Megane Scenic boot struts you sent me I received them to-day in Spain. Thank you for acting promptly on my order for Renault Scenic Expression gas struts. Also for the clear instructions given over the phone. We fitted these no problem and are very impressed with your efficient service. It is a great pity there are not more companies in the UK who work to this standard. 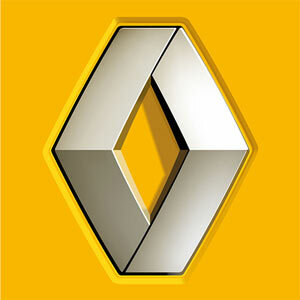 I just wanted to say, many Thanks for your prompt helpful service in my recent Renault Megane Scenic gas strut order. Order arrived as promised, great value and fitted today. What a relief that my boot actually stays open now... I have been putting up with this problem for months, and wish I had got in touch with your Company much sooner! Installed the Renault Megane Scenic struts - a quality product. Much appreciated. Just to say thanks on such a fast service and the Renault Scenic tailgate struts were a perfect fit. Will use you again thanks. Our Renault Scenic products fit cars manufactured from 1999-2003, so you’re sure to find what you’re looking for here at SGS Engineering. Whether you’re after Renault Scenic Boot Struts, Renault Scenic Gas Struts or Renault Scenic Tailgate Struts, we've got it covered. All our Renault Scenic products come with a free two year warranty, meaning you can rest assured that your Renault Scenic boots struts, Renault Scenic gas struts and Renault Scenic tailgate struts will last for years to come. Shop with us today for your Renault Scenic gas struts and take advantage of our wide range of products.